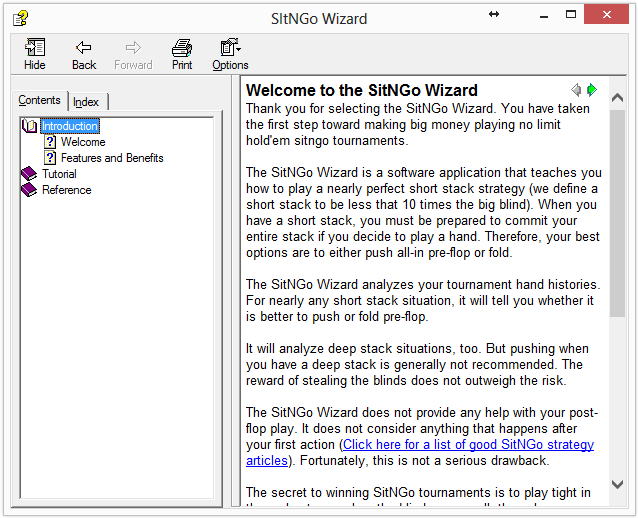 Documentation for SitNGo Wizard 1 (SW1) is included in the SW1 download. 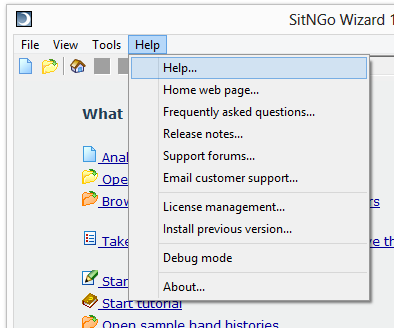 To access the help, open SW1 and select Help from the Help menu at the top of the Wizard window. 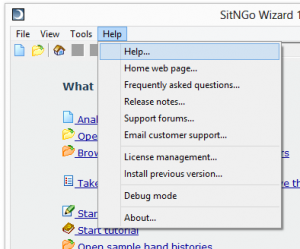 The SitNGo Wizard help window will display. The help provides a detailed tutorial and a reference section that covers advanced topics.